I am currently in Oakland, CA. If you’d like to invite me to read, please contact me. 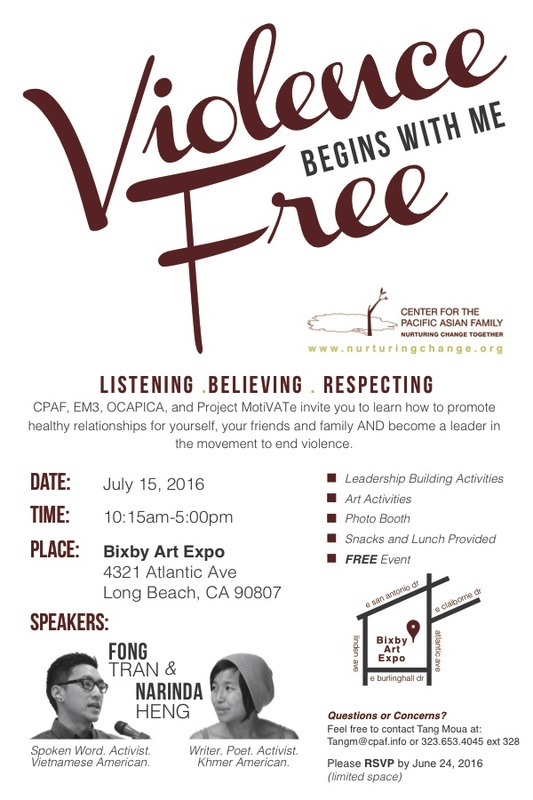 15 July | Guest Speaker at Violence-Free Begins with Me, a Southeast Asian Youth Summit organized by Center for the Pacific Asian Family, Long Beach. 5 April | Collaborating with Shin Kawasaki at 1st&3rd Tuesday Night Cafe, Los Angeles.